Sedona AZ (October 17, 2018) – The monthly luncheon meeting of the Verde Valley-Sedona Mingus Mountain Republican Club will be held at the Veterans of Foreign Wars Post #7400, 705 East Aspen Street, Cottonwood, Arizona, on Tuesday, November 13 starting at 11:15 in the morning. Keynote speakers are Yavapai County Sheriff Scott Mascher, Michael Schroeder and Dwight Kadar. Sheriff Mascher’s keynote will address the perils of Arizona’s drug epidemic and how it is affecting Yavapai County. The Sheriff is a 30-plus year veteran of the Yavapai County Sheriff’s Office. As a young man his Verde Valley career began in the position of volunteer reserve deputy until accepting a full time certified deputy position in 1986. Now he is directly responsible for improving the state of readiness of the entire Yavapai County Sheriff’s Office. While promoting through the ranks, Sheriff Mascher worked in virtually all the communities of Yavapai County. His assignments included narcotics, patrol operations, internal investigations, major crimes, tactical operations, jail operations and academy commander. Experienced in developing and successfully operating multi-million budgets through strategic planning, Sheriff Mascher was appointed by the Governor to the Arizona Peace Officer Standards and Training (AZPOST) as Board Chairman. Other significant appointments include the State’s legislative committee for implementing body camera policy, the legislative committee for the Arizona Supreme Court Security and Standards Committee, and to the Executive Board of the Rocky Mountain Intelligence Network (RMIN). 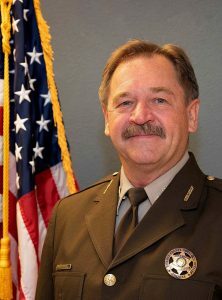 The Sheriff also sits on the Executive Board of the Western States Sheriff’s Association. Sheriff Mascher earned an Administration of Justice degree and graduated from the FBI National Academy and the Arizona Law Enforcement Training academy. He is a certified pilot and maintains the skills of a Grand Canyon River Guide. How do citizen activists face the challenges of making a difference in their communities? Michael Schroeder and Dwight Kadar, two very engaged citizen activists, will speak about their remarkable civic engagements in the Sedona area. They continue to work tirelessly to make a meaningful difference and inspire others to do the same. Schroeder and Kadar’s partnership began in 2014 when they tried unsuccessfully to defeat a $1 million budget override requested by the Sedona Oak Creek Unified School District. In 2015 and 2016, both fought successfully to keep 160,000 acres encompassing the city of Sedona and the Village of Oak Creek from being designated a National Monument by President Obama using the 1906 Antiquities Act. In 2017, they took on and successfully defeated an $18 million bond requested by the Sedona Fire District which included many projects that should have been included in the SFD’s annual operating budgets. 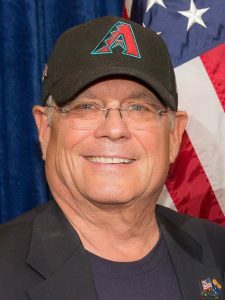 In 2018, the two established a political action committee, Arizona Liberty PAC, to participate in the city of Sedona’s elections. On November 13, they will share their story about how they took on the Sedona City Council in a David and Goliath-like struggle. Their goal was to defeat the Home Rule initiative on the August 2018 Primary ballot and then get a citizen initiative for a Permanent Base Adjustment (PBA) on the November 2018 General Election ballot. The challenges they faced were no small feats. As the result of a coordinated “mass marketing” effort led by the city of Sedona, the Sedona Chamber of Commerce, a local newspaper, the Sedona Lodging Council and, most notably, the Democrats of the Red Rocks (DORR) which knocked on 2400 doors, the Sedona Home Rule bill passed despite their best efforts by a 2-to-1 margin. However, the PBA initiative result was a success. Obtaining and submitting the initiative’s required 429 registered Sedona voters’ signatures in just ten days was a challenge met, but the Sedona city attorney claimed enough of the signatures as unacceptable and the PBA failed to qualify for the Sedona ballot. Kadar and Schroeder were forced to file an immediate lawsuit in Yavapai County Court against the city of Sedona to reinstate the signatures for the Permanent Base Adjustment initiative. The city of Sedona attorney was found to be in the wrong, and the PBA is now on the November 2018 General Election ballot. 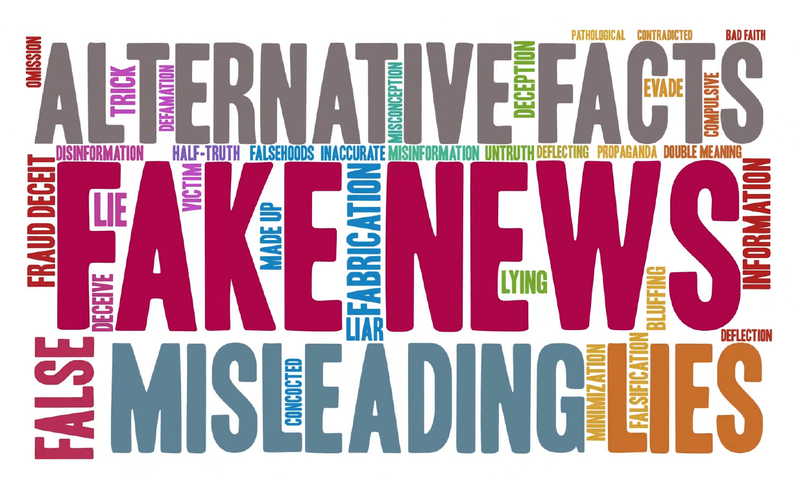 Presently, Schroeder and Kadar’s PAC is using social media including Facebook, videos, and direct mail to 7,200 registered Sedona voters explaining the benefits of voting for a Permanent Base Adjustment. Like them on Facebook today. 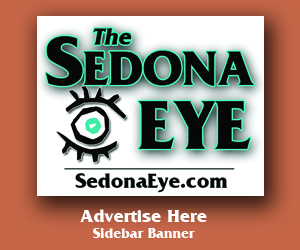 Watch their videos and campaign ads on SedonaEye.com. 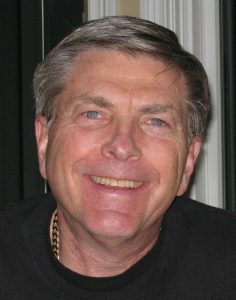 Keynote speaker Mike Schroeder is an entrepreneur who co-founded Consumer Satellite Systems (CSS) in 1981, which launched the “big dish” satellite TV industry that today serves the 45-plus million households that use the DirecTV and DISH Network. It grew to encompass a 10-state distribution system operating in a region ranging from Wisconsin to Florida. CSS served retailers selling satellite systems, televisions and a range of consumer electronics products. He is a Sedona resident, corporate board member, a pilot, a grandfather and a world traveler. He has been an Independent Director of EchoStar Corporation since 2007 and served as a Director of Dish Network Corporation (formerly EchoStar Communications Corp.) since November 17, 2003. He is a very active and dedicated member of the Republican Party. Keynote speaker Dwight Kadar is a Village of Oak Creek resident. He earned an industrial engineering degree from the University of Dayton and a master’s degree in business administration from Eastern Michigan University. He began his business career at the Ford Motor Company in corporate finance and completed his career at Cooper Industries Ltd. as chief investment officer. Dwight and wife, Andrea Kadar, were delegates to the 2016 Republican National Convention in Cleveland representing Arizona’s First Congressional District. Mr. and Mrs. Kadar serve the Yavapai County Republican Precinct Committee as representatives of the Scarlett District, and are leaders of Sedona’s Concerned Citizens for America and the Arizona Liberty Political Action Committee. They were also named Arizona Activists of the Year by Americans For Prosperity. The Mingus Mountain Republican Club (MMRC) is an educational Club that promotes an informed electorate by hosting Republican leaders in our community who are making a difference. MMRC is known for hosting city, county and statewide politicians. Located in the hub of the Verde Valley in Cottonwood, Arizona, MMRC serves Cottonwood, Sedona, Camp Verde, Clarkdale, Cornville and Rimrock. The public is invited to participate. MMRC lunch meetings are hosted on the second Tuesday of each month at the Veterans of Foreign Wars Post #7400, 705 E. Aspen St., Cottonwood. Doors open to the public at 11:00 a.m. and lunch is served starting at 11:15 a.m. for only $12.00 including a beverage. Sodas without lunch are available for $3.00. The public is invited to attend this dynamic lunch event, and reservations are required. Please R.S.V.P to MingusMountainRepublicans@gmail.com. For more information, visit www.mm-gop.org. 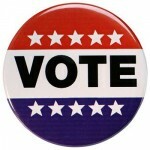 And always remember to vote by returning your early ballots or by casting a ballot at your assigned polling place! Need a ride? Contact the Verde Valley-Sedona Mingus Mountain Republican Club and ask for assistance. (Deleted by editor) Cutting fire departments…cutting school budgets…only concerns for SELF..(Deleted by Editor) I GOT MINE now Screw the rest..
City Staff and firefighters making six figure salaries and living out of town. They want ladder trucks, wild land trucks, swat teams and equestrian units. When “public servants” make twice as much a residents, the “public servants” are only concerned with themselves. We should demand all public employees live in the City. Make them have some skin in the game. They want theirs, gold plated, Screw the residents !!! @I got mine Tea Party isn’t a slur if that’s what you mean? Tea Party was the majority of those wanting government to get a grip. Think of it like your Denture Cream because most under 20 don’t know what you’re talking about. Yeah and most over 50 don’t care because politics and time moved on. Get out your walker and go outside in the hall and ask the nurse at the desk for your meds. You have no clue….your a joke and liar. Apparently Arizona Liberty thinks it’s a racial slur to be called Sedona Tea Party .. The Sedona Rea Party Leader DK referenced above was a failure thus leading to the name change but keeping the same ole mentality (I got mine) screw the rest.. The only people that care anything about his misinformation and angry rants and just out right lies are other haters of government . You dumb tax cows just keep paying, I’ll keep crying about cuts and how the world will end, I’ll also keep taking your tax dollars. I’ll keep calling you Tea Party, which stands for Taxed Enough Already. As far as I am concerned, you will never be taxed enough. I like my 4 day weeks and six figure salary. It’s for the children…..HA HA HA. You say, City Staff and firefighters making six figure salaries, So what, the market place sets the price we pay for help. You say, They want ladder trucks: they need a hook and ladder, look at all the hotels up town and fire is fought by putting water down on it …. You say, living out of town: and why not, free country, they do the work they get paid…. And live where they want. They want theirs, gold plated, and that would be? Show us ,this is just T party talk for old farts, that never made over 100,000. Good people should get good pay. Why is it OK for CEO’S to make millions and no one say anything but let a city employee make 100,000+ and they are Gold Plated? YOU Got Yours says: and you know what equipment the fire list need”s and what people should be paid ? because ? you have an MBA in Fire Dept. management ? Thanks for running. At least we get a chance to vote. Our minimum right for being taxed. It is amazing that you would put out an email like this which is not only inaccurate, but an outright lie. If this is your idea of garnering public support for the Chamber – then you are sadly mistaking. 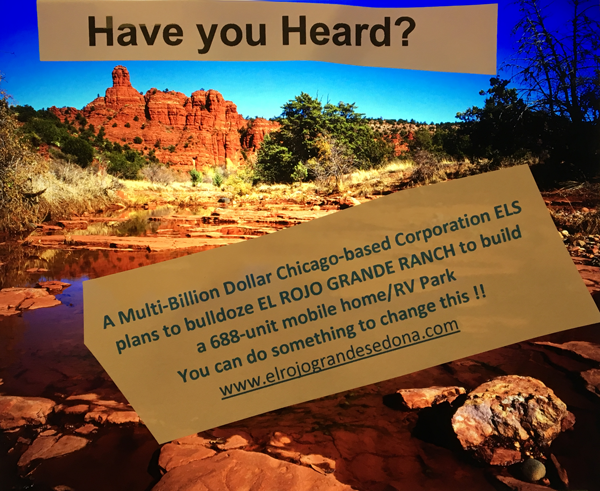 If you want a continued resistance to your activities in Sedona, just continue to cater to the businesses and continue to ignore the residents. You are being extremely short sighted and detrimental to your objectives. We are not the only tourist city that is getting fed up with over promotion. Jackson Hole, one of many has had it also. Learn the Truth on how PBA works. Congrats to winners and losers that put themselves out to run for office. I’ve done my own research and found that those figures posted by the CoC are correct! But it doesn’t matter because Sedona isn’t buying what you’re selling!!!! Maybe YOU should learn how SEDONA works! I guess the slate of DKS lost by a 2-1 margin …(all three right at the BOTTOM of the pack! Mike Schroeder says:We are not the only tourist city that is getting fed up with over promotion. Seems Mike is way out of step with Sedona citizens , his Tea gang lost big, just look at the numbers. Sedona citizens (deleted by editor) votes to support Home rule , No on his hand made PBA. and NO to him and his gang for fire board. Voters like Sedona the way it is and it’s governments it’s tourism and the tax income it brings in and all the jobs it supports,Sedona is for “workers” not just the retired. By by Mike ..
All the time and money and (deleted by editor) could not get over 12.89% of the vote !!!!! “The Chamber of Commerce is 100 percent funded by member businesses, not tax dollars” is only one canard in their CHAMBER HIGHLIGHTS article on Page 18, KUDOS, July 25-31, 2018. The same specious claim appeared in the RRN. Sedona does not need a big-$$$$ PBA. The $36M PBA will end the millions in City of Sedona taxpayer funds gifted to the regional Chamber annually. Sedona is our town, not the Chamber’s. The voters have spoken. They will get what they voted for, good and hard.